Out of all the software I have been using since starting up Tech Coach HQ in 2013, Canva has to be my favourite. For those who have never see Canva, it is a graphic design suite with amazing templates that is all based online. The images are $1.00 each or free (and you have 24 hours to use the images in the designs once it has been published and then it reverts to being $1.00 again). Canva has made a huge difference to the way I can design my own social media posts and banners. I use it for my presentations as a Keynote Speaker and of course I train my clients on how to use it for their small businesses. 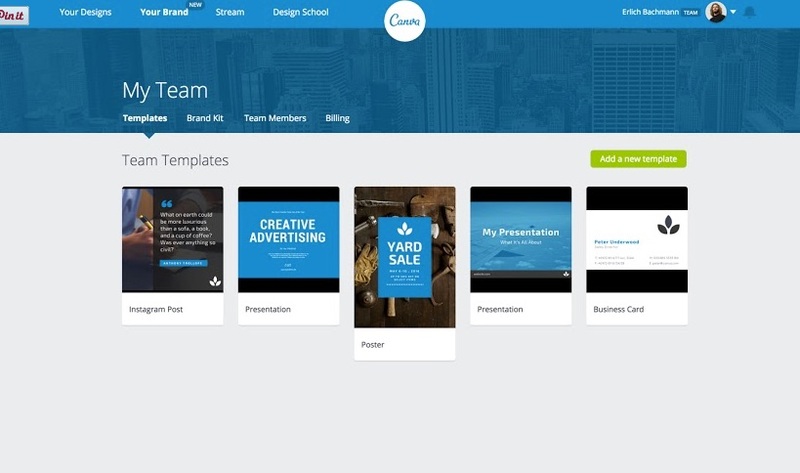 So, Canva has just released ‘Canva for Work’ as an additional service to their current website http://www.canva.com It’s rather timely as Canva is just celebrating it’s two year anniversary and 30 million user created designs. One of the main reasons behind ‘Canva for Work’ is to enable brands to collaborate much more effectively and have a consistent message. With this new limited beta release, it is empowering companies to share design templates, fonts and digital assets on an ongoing basis. 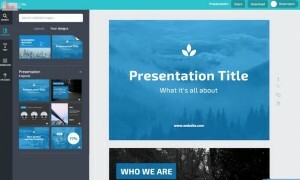 Canva is free (just pay for the images that are marked $1.00 each). 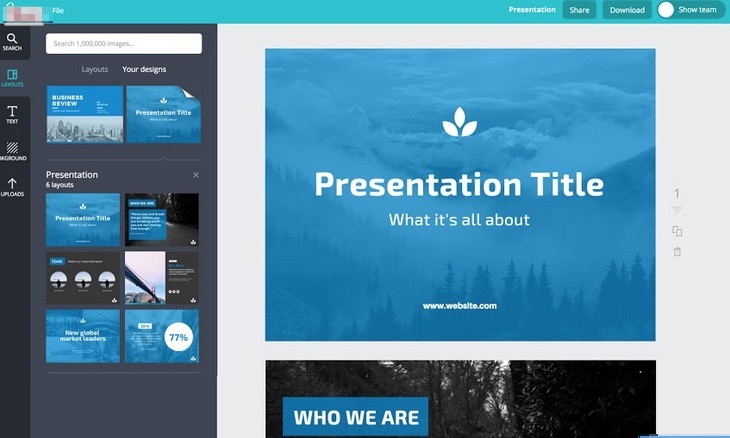 Canva for Work ($9.95 per user/ per month) after the introductory offer has expired. I must admit this is one of the things that I fell in love with when using the new release ‘Canva for Work’. To be able to put the elements of my style guide into Canva (and not have to enter constantly the HEX numbers for my colours) is a huge blessing. My logo is now in a central place and I no longer have to scroll through all my images (and there are a few) to get to my logo. This also goes for fonts that I love to use on a regular basis (remembering what they are is always the first battle). One of my roles at Tech Coach HQ is to be a ‘Social Media Manager’. Consistency across a brand is vital and even within my ‘TechmadeSimple’ Facebook Group, I still need to have consistency when posting on different days. It also takes the headache of trying to adjust things all the time with logos and watermarks on images. 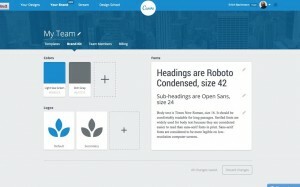 Re-size your design – with a touch of a button! This is something that just made me go ‘Wow’. Of all the times when I am working on a project, having to re-design elements just to fit for different platforms like Twitter, Instagram, Facebook and Pinterest (is a pain). Magic Re-size enables you to choose what size you would like to re-format it in and just creates new tabs on your Internet browser. From there, you can tweak and adjust and then ‘Download’ or ‘Share’. This alone makes it worthwhile to spend the money on using Canva for Work and I love that Canva provides great tutorials (just go to the Design School) section on their website. In the past all your images have been just in one long folder within Canva. Canva for Work introduces folders so you can organise those images around projects or tasks that you work on (no more scrolling forever to find them). 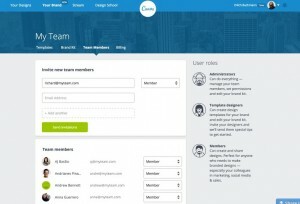 One of the best parts of using online tools is the ability to share and collaborate. 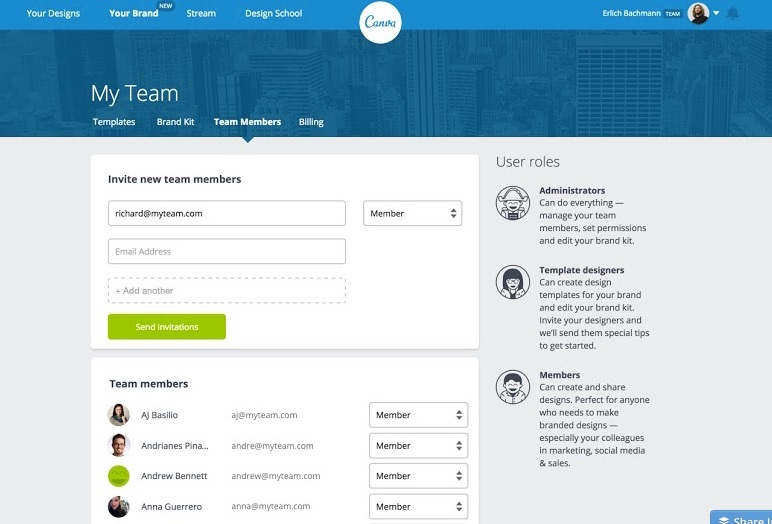 Canva for Work’s share and collaborate feature means that team members can be remotely working yet all the information is all in one place (a bonus feature for many freelancers). I give this new update a 5 star rating. Can’t wait to be seeing the improvements being made as this product evolves. 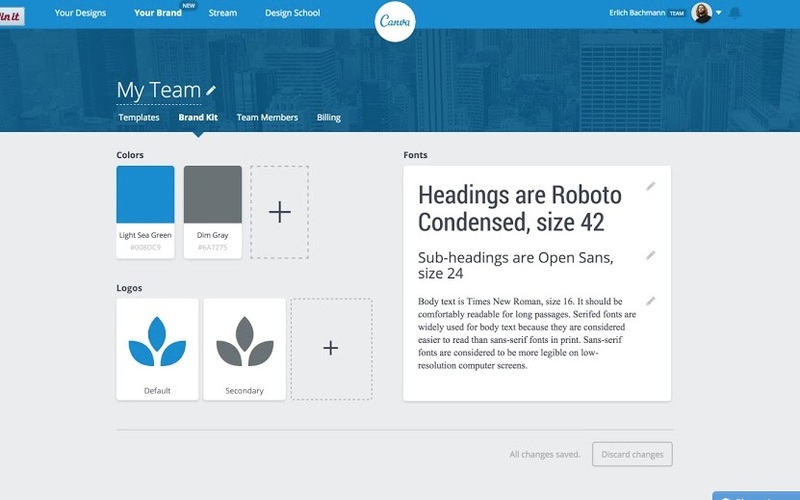 Keep up the great work and Happy 2nd Birthday to Canva and the amazing team behind this product.